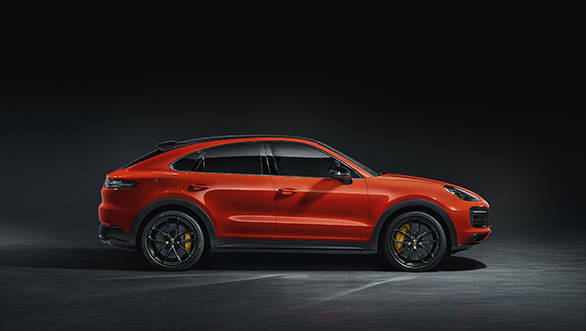 The newest Porsche is the Cayenne Coupe that was unveiled a few days ago. And now we at OVERDRIVE have learnt that the Porsche will be bringing the Cayenne Coupe to India in the second half of 2019. The exact details on the month of launch is not yet known. However, we believe it could be somewhere around the end of 2019. The Porsche Cayenne Coupe will take on the BMW X6 and the Mercedes-Benz GLE when it arrives in India this year. While the standard Cayenne is priced at Rs 1.19 crore (ex-showroom, India), the Cayenne Coupe could be priced at Rs 1.40 crore, ex-showroom. In terms of design, the Porsche Cayenne Coupe is a more sleeker version of the standard Cayenne with a sloping roofline. 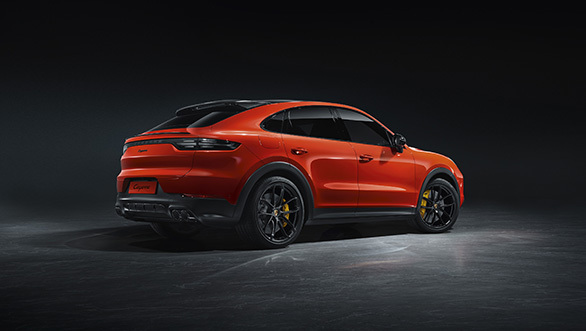 Porsche also offers an optional carbon fibre for the Cayenne Coupe. Further, it gets adaptive roof spoiler. Above the speed of 90kmph, the spoiler extends up to 5.3 inches to increase downforce to the rear axle. Upfront the coupe has a similar fascia to the one on the SUV, however, gets redesigned bumpers. With the Coupe, Porsche offers Porsche Active Suspension Management (PASM), the Sport Chrono Package and 20-inch wheels as standard. Inside the cabin, eight-way sport seats are standard equipment for the front passengers. The 2020 Porsche Cayenne Coupe will be offered with a choice of two engine options. The 3.0-litre single-turbo V6 produces 339PS and 450Nm of torque and is capable of doing a 0-100 kmph run in 5.7 seconds and has a top speed of 250kmph. 0.1 second can be shaved off with the optional lightweight sports package. While the biggrer 4.0-litre twin turbo V8 generates an impressive 548PS and 760Nm of torque. 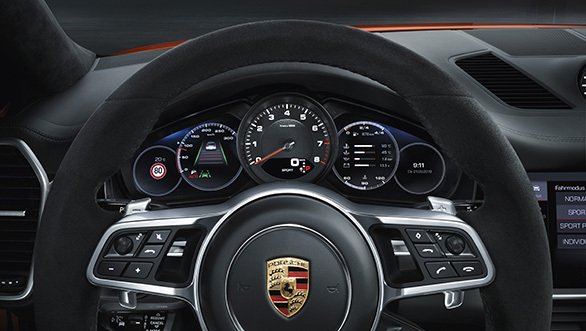 Porsche claims that the bigger hearted Cayenne Coupe can touch 100kmph in 3.7s with a maximum speed of 286kmph.